Looking to hang around Mexico City in the late fall or winter and bag some of the peaks around it including Pico de Orizaba. Anyone bin? Was there in March. Good boozin. They also gots rickshaws. Cheers. Any good places to stay? ReptilianKittenEater wrote: Cheers. Any good places to stay? I stayed in a KSRish dive. The purple back pack kinda place where some travellers opt out of wearing shoes. It was near the Zoocolo. I got in at night. After throwing my kit on my bunk I was off to the bar. As I left I was given a map of the local area with half of it crossed out. The no go for gringo areas. I had a wonderful time. 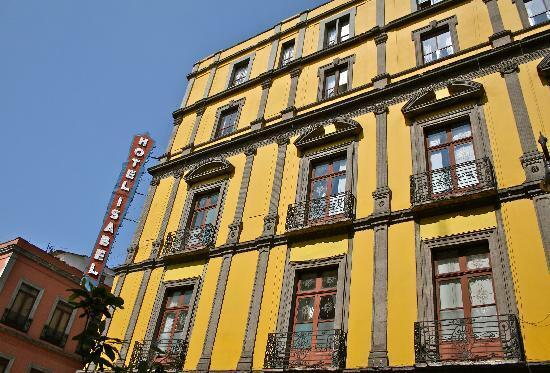 Last time there stayed at Hotel Isabel which is very convenient in the heart of the historic center of Mexico City. Get a room on the top floor for a decent view and quiet. Single renovated room with private bath less that US$25/night. "Beyond our ideas of wrong-doing and right-doing, there is a field. I'll meet you there." Ill be travelling to Mexico City, Guadalajara and surrounding areas in the Spring. Does anyone have any suggestions/ anecdotes / photos you would like to share with me? I was mainly outside of MC climbing but in MC I stayed In Centro, at Hostal Sam Il Defenso (or something like that) and the Chillout Flat. Both were fine. Centro is great for stuff to see, metro connections etc. but it is a concrete jungle. If I get back there I may stay in Condesa or Coyocan. If you have money to burn stay in Polanco, its like Beverly Hills. As far as sights the pyramids (long word starting with T), Xocomilcho and Leon Trotsky's toilet are worth seeing. Taxco is a neat day trip from MC.